Raised cabinet on steel legs with rubber feet, to keep contents safe and dry. Ideal for use in a workshop or warehouse. Lockable tool cabinet with 2 shelves. Supplied with removable & adjustable shelves. Equipped with a fall protection ridge on three sides to stop tools & screws from rolling off the side. Doors with open up to 180° for easy access. 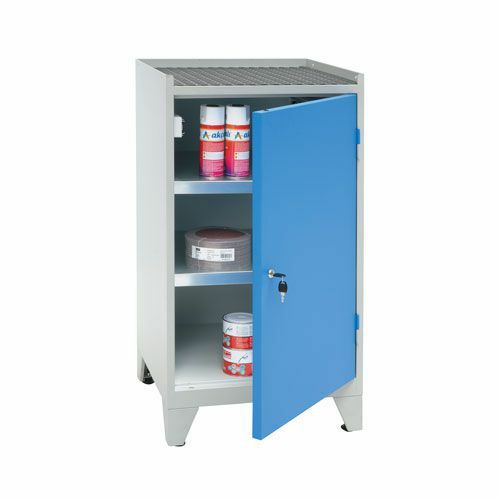 Raised storage cupboard with 2 shelves, perfect for storing tools & equipment.